An intimate evening of live music and astronomy in the planetarium star theatre! Gazing up at the night time sky is a time honoured tradition that has inspired scientists and artists alike. 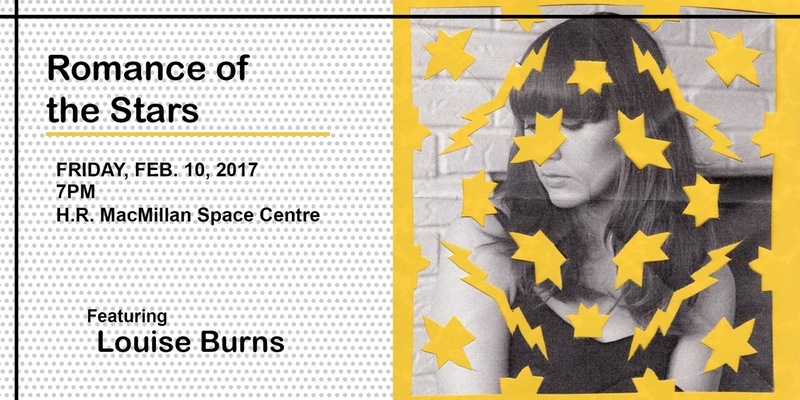 Tonight recording artist Louise Burns will be playing a selection of songs inspired by the love of star gazing. In between songs our astronomy educators will guide you through the nighttime sky in what is sure to be a unique and magical evening. Beer and wine will be served in the Cosmic Courtyard with a listening party of the new album.